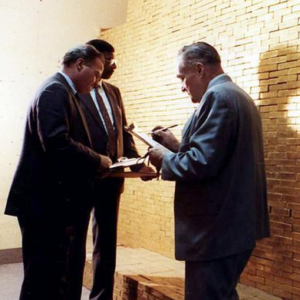 The Royal Canadian Mint’s Gold Maple Leaf is one of the world’s best-known gold bullion coins and is very popular throughout the gold investing world particularly in gold markets across North America, Europe and Asia. 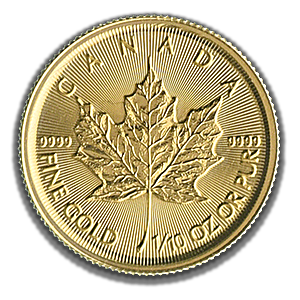 Each 1/10 oz Gold Maple Leaf has a gold content or fineness of 0.9999, the highest gold content of any gold bullion coin on the market. The Royal Canadian Mint is a federal Crown corporation of the Government of Canada and is fully-owned by the Canadian Government. As such, the RCM guarantees the purity and authenticity of every gold Maple Leaf coin that the mint produces. The obverse of the 1/10 oz gold Maple Leaf hosts a current portrait of Queen Elizabeth II, Canada’s head of state, as well as the coin’s face value $5, and the year of manufacture, 2019. The reverse of the coin features a stylised Maple Leaf together with the gold coin’s purity 9999. The 2019 gold Maple Leaf coins feature innovative high security details in the form of precision radial lines on both coin faces. 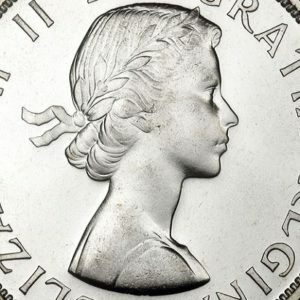 The RCM Ottawa mint produces all of RCM’s investment bullion coins, but another RCM facility in the Canadian city Winnipeg produces circulation coinage for Canada and other countries.